Probably the biggest surprise for me in university teaching is how much studio culture has changed in the last decade. Ten years ago, when I co-taught a graduate level integrated building science design studio, no matter what time of day or night, students would be in studio, working away at their drawings and models. Not so anymore. While there are exceptions to this, my peers in the teaching profession back this up. Fewer students are working in studio outside of class time. Why is this? and Why is this important? Additionally, working alone in one’s dorm room or dining room table can encourage silo mentality and bad working habits. It also can increase competitive behavior – the designer surprising everyone back in studio with the magic they cooked up at home. This leads to the “white knight syndrome,” where the architect whisks into the office or meeting at the eleventh hour with the design decision intact, whole-cloth, undermining the efforts of all those who stayed up late working on alternative solutions. I tell my students my concerns – but it has little impact on their behavior. Architecture students no doubt work very hard, are pulled in a number of increasingly divergent directions, all of which make demands on their time and attention. My students are no exception. When asked, students inevitably say they don’t feel safe driving home when tired, walking home at night from studio, or don’t like to have to rely on others walking with them or giving them a lift. Some just feel more comfortable working from home, where they are in familiar surroundings, surrounded by people they know, pets they care for, and all the media they can access at once. And they’re right. For a long time, the studio student experience had a number of strikes against it. Much has been researched and reported on the need for a redesign of studio culture. And many schools have strict policies on studio culture, many of which build on these reports. One comprehensive background and overview of the subject, Design Juries on Trial – reissued recently and now also in the form of related iPhone apps – by my university colleague Kathryn Anthony. In her research, Anthony gathered comments from students at schools throughout the U.S. through surveys or student diaries, and also conducted extensive interviews with academic colleagues and architects. Well worth a read. Among all advanced nations, the United States ranks 28th in work-life balance –barely better than Mexico, says the says The Atlantic. The U.S. may be tops in housing access and family wealth, but in terms of work-life balance? Ninth from the bottom. Want work-life balance? Don’t become an architect. Move to Denmark. It is impossible to talk about studio culture without delving into the larger topic of work-life balance, but I will try to keep this discussion focused on what I perceive to be a behavior among students that can potentially affect not only practice, but their work satisfaction, for years to come. American men work less today & have more down time than ever recorded. While it is seldom wise to generalize about demographics, I believe it is fair to say that Millennials – the current generation of emerging design professionals – want work/life balance. They have made this clear not only in many class discussions in the courses I teach, but also in their behavior. Students today have seen the negative impact overwork has had on their parents – and on their marriages – and they don’t want to perpetuate this by repeating what they feel are mistakes of their parent’s generation. Including the side-affect that working too much makes one boring. And unhappy. One recent study indicates that between 20 and 40 percent of architects are dissatisﬁed with their rate of pay, practice management, promotion prospects, working hours and opportunity to use their abilities. Like everyone else, architects want to be happy. The seeds of this Work/Life/Work balance trend begins in school. In other courses, I have students who won’t do the course reading because, they say, it is boring, too long, takes up too much time, they can’t concentrate for long periods of time required to read the assigned chapter, don’t see the relevance, because reading is not among their preferred ways to learn. Often, I see their unwillingness to do the reading as a symptom of a larger, overriding situation: a lack of balance between school work and life outside school. I have been told that I have a great work ethic. Even by my family. They would describe what I have been able to accomplish day-in, day-out for over 25 years as a Work-Work Balance. After all, while my neighbors three floors below are loading golf gear into their car trunks, I’m up in my garret posting on Work-Life Balance. The result is a noticeable all-work-and-no-play imbalance. Can architects achieve a work-life balance? Since high school, I’ve abided by the Zorba the Greek approach to life. Zorba, who famously gave his work 100% of his effort and attention when working and life 100% when living. In other words, give everything you do 100% when you’re doing it. Achieving work-life balance takes, well, work, requiring time management, technology management, change management, stress management, leisure management (!) and self-management. Can architects achieve a work-life balance? Yes. Not everyone believes balance is achievable. Some critics argue against work-life balance, not believing it is achievable. And, as importantly, not every architect believes balance is desirable. They feel that architects are artists and there’s no room for balance if they’re going to achieve their dreams. 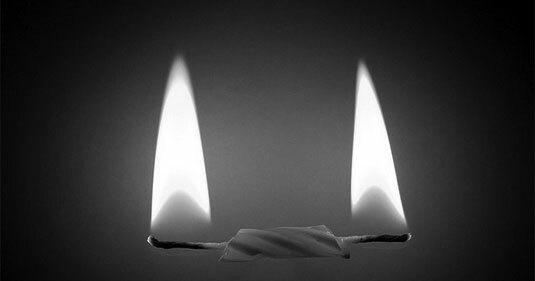 And so, they ought to go about living life at extremes, burning their candle at both ends. Want work-life balance? Work for a firm dedicated to upholding values that support a work-life balance. Thank you for this article on work life balance. As shared previously i am a practicing architect for 30 years now and I always had a problem with the previous methodology of how design studio principles were taught in the “old school”. I do believe we have lost many talented persons to our industry through the all or nothing concept of working through a design studio life and transferring this into practice . We have always believed that balance is very important to living a good life as an architect and as a person just in general .This is the main reason why I left the USA model 25 years ago and live and work in the Caribbean to find and seek this balance. My heart reaches out to many of my colleagues who I have studied with and worked with in USA that are still living the life of immense imbalance as a supposed cost of being a good ethic working architect and thus sacrificing so much of their other talents and attributes they have or had to share with family and friends. Thank you Aubrey for sharing your perspective. I feel confident that many of my colleagues would have less of a work-life imbalance if they were in your situation, tempted by all Barbados has to offer. I’m not sure how I feel about this. I myself was tempered in the old school and experienced a studio culture that required, emphasis on required, around the clock attendance in studio. We were reminded day in and day out that we weren’t learning to work but becoming professionals. And as such we were on the clock 24/7. Isn’t the term balance a relative term? It doesn’t have to imply a 50/50 split and certainly doesn’t mean 9 to 5. I work to satisfy the project requirements and meet a deadline. When I am not at work I am living with the same intensity. So I would have to question the genesis of the shift. Is it the industry or the practitioners? We are training young people that are placing as much value on recreation as they place on becoming dedicated practitioners. There is the balance they seek. We will have to see if the industry, in say, the next ten years will tolerate a 9 to 5 architectural professional. Jacob, I couldn’t agree more. I often see the word ‘balance’ and think how most people see the word and think “symmetry” (just look at the top image that accompanies this post.) Architects are taught early on, in design studio, that symmetry is not the only way to organize disparate or competing items. We’re taught to seek balance when symmetry isn’t possible or desirable. Balance is a more sophisticated, nuanced reaction: perhaps this week – with project deadlines looming – we put 65% into work and 35% into everything else week. Next week? We can set the record straight, recalibrate our lives, by perhaps focusing on our lives outside the office. The other item you mention (genesis) is the chicken and egg question. One could say that the profession is driving the current interpretation of a more balanced studio culture. But one could say the profession was only responding to horror stories brought about by the old school culture. One could say it is just a demographic thing, not having to do with the profession. Let’s leave the root of the cause to the historians, and focus on your last observation: the next ten years. I think its important to note that the number of female architecutre students is on the rise. I recently read a statistic that said over 40% of architecture students are women. That, coupled with the fact that something like 80% of american women will become mothers in their lifetime, leads me to believe that MOTHERS are leaving the profession due to poor work cultures, long hours and low pay. More and more women are becoming architects. More and more mothers are leaving our profession. As a full time working mother of two young children, I find work/life balance a constant challenge. 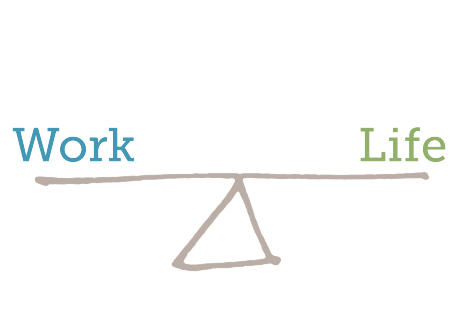 I like that you point out that work/life balance requires work. But how do men and women, fathers and mothers alike, work with our employers to find a better balance? How do we prove our value when our non-parent counterparts are working more hours when we are all being equally effiecient? If we cannot find a solution to this pervasive problem, I believe the field of architecture will be losing out on a lot of valuable talent. There are so many statistics on women in architecture – infographics http://www.archdaily.com/216844/infographic-women-in-architecture/ and articles http://observatory.designobserver.com/feature/lets-talk-about-women-in-architecture/36338/ and presentations http://www.architecture.com/files/ribaprofessionalservices/education/discussionpapers/whydowomenleavearchitecture.pdf – that I didn’t want to make gender the focus of the blog post. That said, one article http://en.wikipedia.org/wiki/Women_in_architecture states that it is not easy to find reliable statistics on women’s place in architecture across the world – that much of the data is dated. You raise an important point, Amy, and ask excellent questions that deserve a post of its own – which I will try to write in the near future. Thanks, Randy – interesting article. I think the biggest change, though, is one that you didn’t mention: the advent of the laptop as the means and method of architectural production. It used to be more or less impractical for students to maintain a full drafting setup at home as well as in the studio (I was one of the few who did when I was in school, as I was a little bit older and married and living in a real apartment). Lack of space at home, expense of equipment, etc. Now that students are allowed to and encouraged to do their design work in the virtual world, their experience (and the product of design studios) is more and more determined by the one-person-staring-into-a-screen phenomenon that typifies so much of our existence. It no longer matters where you work or with whom. So much has been lost, someday we will maybe realize it. But it is hard to see how, as it is impossible to recreate the experience of being without the new technology. When I was in school I struggled to balance my work at home and in the studio – I became adept at rolling my work in progress and building models I could transport back and forth. Now there is less urgency, perhaps, because it doesn’t matter so much anymore — everything is in the screen, and the screen can be anywhere. An excellent point, expertly explained. I loved my studio life, but the hours were insane. Transferred to a work culture this gets even more ridiculous as you don’t even get the benefit of university holidays, and frequently these days not even a day or two downtime after a big deadline. You really do get to the point where the work you are producing is crap (or worse than crap) and things take you twice as long because you are so tired. I’m glad to hear students are pushing back against this, but it seems like they still need some balance between home and studio. However if its like in Australia probably many are working long hours in part time jobs to pay for their studies. Thanks Ceilidh for chiming-in here. I have found that students have done a better job than design professionals at letting their concerns be heard about the negative impacts of studio/work culture. The university has heard the students and responded in positive ways – the profession, not so much. Burn-out on the job is a real concern and one that impacts the quality of work int he office, but also the quality of one’s life outside the office. 1) On the positive side of this, the ability to work effectively away from studio can prepare future employees to be able to likewise use the laptop/remote assignment more comfortably. In my experience, while many people want that flexibility, right now less than half can actually ‘perform effectively’ outside the structure of the office (studio) environment – it will be interesting to see if this shift in studio culture has any impact on that. 2) On the flip side, even if ‘production’ can be achieved outside of the whole, collaboration really cannot. You need not look any farther than Yahoo’s recent ban on work-at-home to see that there is some backlash building at the corporate level when the real ‘value’ of what is being done is the result of collaborative thinking – in most design firms that means creating and protecting a culture where brainstorming is valued and infused into every part of a project. 3) What remains unmentioned in the discussion of ‘balance’ is the hard truth about expectations and rewards. While it may be possible to retreat from the studio culture in school and still get good grades, in the real world, advancement within the profession and in most firms simply cannot be achieved with a 9-to-5, and don’t-tread-on-my-evenings-and-weekends mindset. Yet, most people want advancement, better pay, etc. – but want it on their terms. Bottom line is that achieving true work-life balance requires the setting of both personal and professional priorities, and being willing to not only enjoy the benefit of those priority decisions, but also willing to accept the limitations that are inherently linked. This is a difficult thing for recent generations to grasp, as they’ve been brought up to expect that they can have it all… when in the real world (perhaps especially in a profession like architecture) – you really can’t. Thanks Steve for sharing your insights – all valuable – especially your point about advancement. I believe it is a perception thing: so many architects sit at their workstations in the office, unproductive, putting in “face time,” for an elusive promotion that may or may not come. As you point out, this can have a huge impact on achieving a balanced life – as well as a negative impact to one’s sense of integrity. Advancement…wow, what does this mean anymore? When I graduated in 1985 I was suddenly focused on my license. Now licensure is something that is obtained at a leisurely pace. We knew that advancement could not be obtained without the license. I have seen far too many graduates not work actively to get a license because they didn’t see the value in it in a corporate culture. The perception is that the license is a personal accomplishment, not a necessity. To really have an effect on the work – life balance, the profession as a whole needs to value the time spent working. Most other professions demand a fee for the work they perform. Architecture starts out with a studio culture that teaches its students that “your time is not valuable” by requiring long hours and numerous all-nighters to get projects completed. Most of this could be avoided if architecture schools would teach more on scheduling and budgeting. Too much is emphasized on “work until it is done”. All work takes planning and good planning will allow you to find whatever life balance you want to achieve. As a studio instructor, I am guilty of this attitude as well. That if you want to create something of quality that will be around for a long time, you need to spend time outside of studio on it. As you point out, that shouldn’t be the message. It is the quality of the time that is put into the project – not quantity – that counts. There are many opportunities within design studio – and the architectural office – to communicate the importance of scheduling, planning and reducing disruptions to one’s concentration. Thank you. I walk into the printers I use to plot drawings these days and the walls are covered with drafting supplies. The supplies are covered with dust and price tags I remember seeing when I came here as a student and after in the late 1980’s and early 90’s. These manual drawing supplies required space to use and at school, and where ever I lived back then, I had to have a large drawing table, side board and drawing storage. All sits in drawers unused. Today, with CAD, all my work and file storage resides on the hard disk of my lap top computer and I use the internet to transmit documents and drawings while conversing on SKYPE with clients in other countries and contractors on the job site. I can work where ever I can sit down. This was not the case when I was a student. It is for students today though, so where you are becomes less important. Actual face time is now electronic and world wide. It all has it’s pros and cons. I do miss the romantic notion of working, if not together at least in the same building, with those of the same ilk. I also miss manual drawing as an art form. Thank you for sharing. I am convinced that I need to adjust my expectations to keep up with the way we work today.